We have gained immense expertise in offering a wide and superlative range of Air Drying Plants. 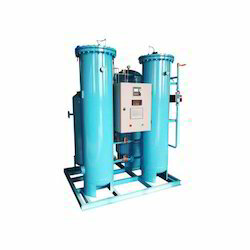 Ideal for purification and filtration of air, this range of air drying plants is also suitable for drying compressed air. Moreover, the offered range is known for its usage in different tasks such instrumentation. Looking for Air Drying Plants ?